One of my favorite new additions to iOS is the ability to view battery usage stats on a per-app basis, which is helpful in knowing exactly which apps are taking up all of my iPhone's battery life. 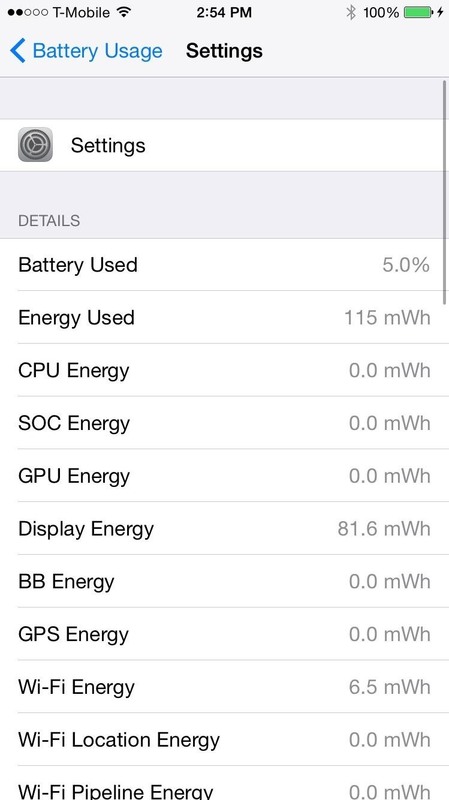 If you jailbreak iOS 8 on your device, you can take Apple's stock battery stats feature even further to give you details on how those apps are actually using the battery. For all of this to work, you'll need to make sure that your iOS 8 device is jailbroken with Cydia installed. If you haven't done so already, follow our simple guide for jailbreaking iOS 8 using Pangu. 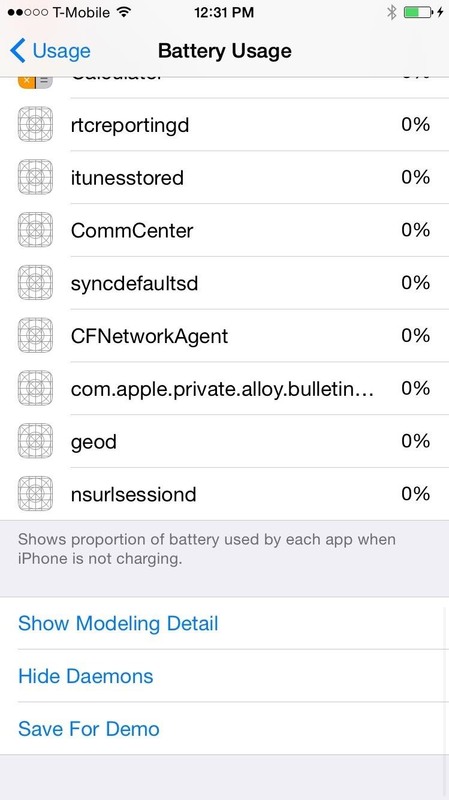 In Cydia, search for DetailedBatteryUsage, then tap the "Install" option on the top right, followed by "Confirm." After it installs, hit "Restart Springboard" and wait for your device to boot back up. 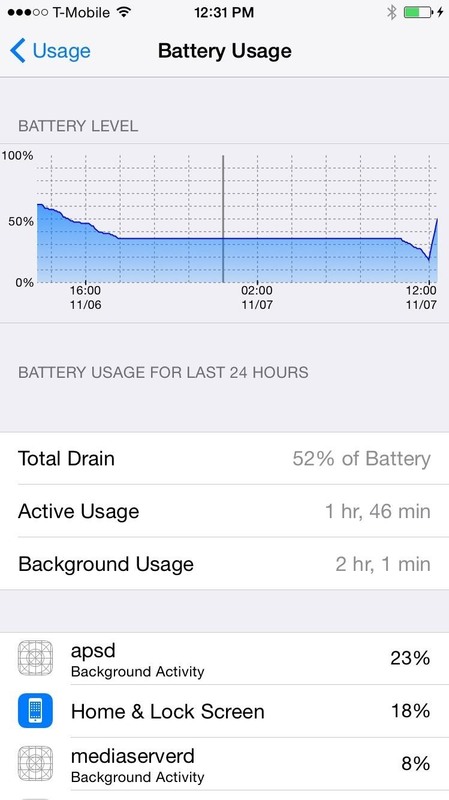 Now go to Settings -> General -> Usage -> Battery Usage. At the top of "Battery Usage," you'll now see a graph that shows your battery level in either the last 24 hours or past 2 days. Underneath the graph, you can see "Total Drain," "Active Usage," and "Background Usage" statistics. You can check out battery usage for each app below, just like you normally could, except that processes such as "apsd" (Apple's push notification service) will now also be visible. 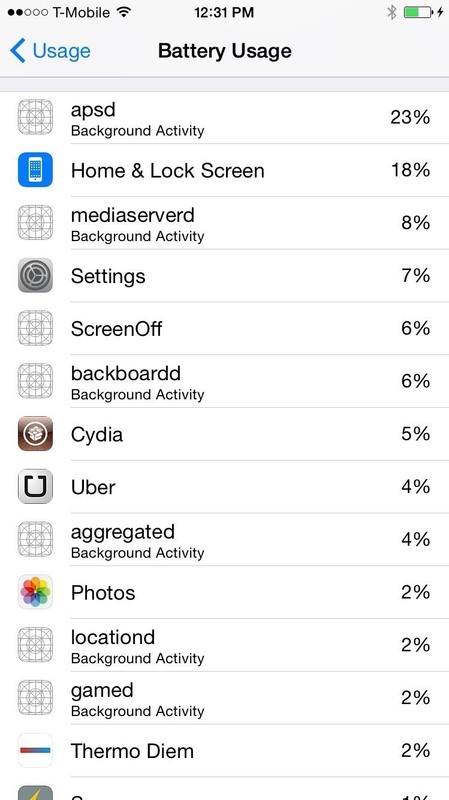 In the regular Battery Usage menu, you can't click on any of the apps in the list, but in this version, you can. Select any app and you'll be able to see brand new statistics such as "Energy," "CPU Energy," "GPS Energy," "Wi-Fi Energy," and more. At the bottom of Battery Usage, you can check out "Show Modeling Detail," hide Apple services (like apsd) with "Hide Daemons," and generate a demo of your battery usage with "Save For Demo." 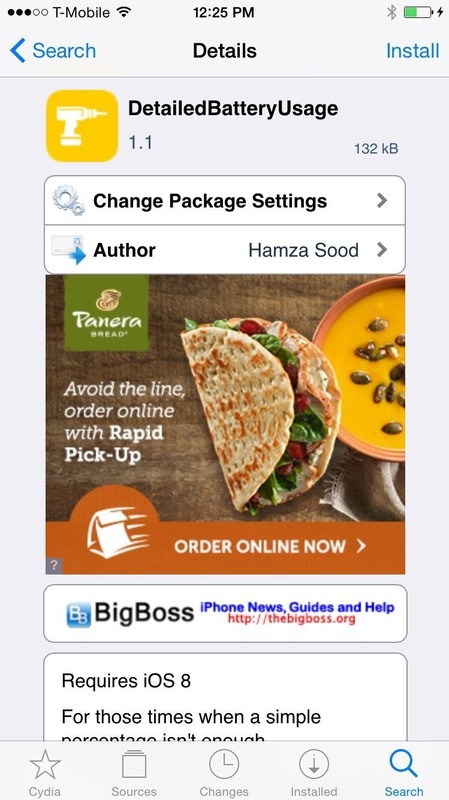 Are there any other Cydia apps or tweaks for iOS 8 that have caught your attention? Let us know in the comment below, or hit us up on our Facebook and Twitter feeds.